The amounts of rest we get during sleep affect our day and determine our physical and mental wellbeing. When you had a good night sleep, you will wake in the morning energized, alert mentally and utmost good mood all through the day. While we all crave good night rest, the simple solution to that is a mattress we use. If you have a comfortable bed, you are guaranteed quality night rest to wake in the morning refreshed! The critical thing to note about a mattress is that it is a personal thing. Like clothes, you will have to choose a mattress that meets your personal taste and need. Whether coil or traditional bed, the bed you choose should guarantee quality sleep without tossing and turning all night long. In this review, we will talk about memory foam offer of overall comfort and health benefits. The main ingredient of memory foam is visco-elastic substance, a technology developed for NASA use in the ’60s and commercialized for public use in the ’90s. This product has other uses upon it commercialization and can now be seen used for prosthetics to help the amputee live a normal life again. This product is used for helmet cushioning, and mattresses among others. The best part of memory foam is its shape conforming character which contours the sleeper’s shape when sleeping and go back to its original state after the pressure. The exciting thing about memory foam is its affordability and high adaptability for various uses. It comes in different grades and qualities for different categories of users. Whatever you want in a mattress, it is guaranteed you will get it from memory foam. When you need favorite and trusted foam in the market, the Milliard mattress is among the best you can find in the last ten years. This foam is the favorite of many users due to its portable, ultra soft and tri-fold nature. 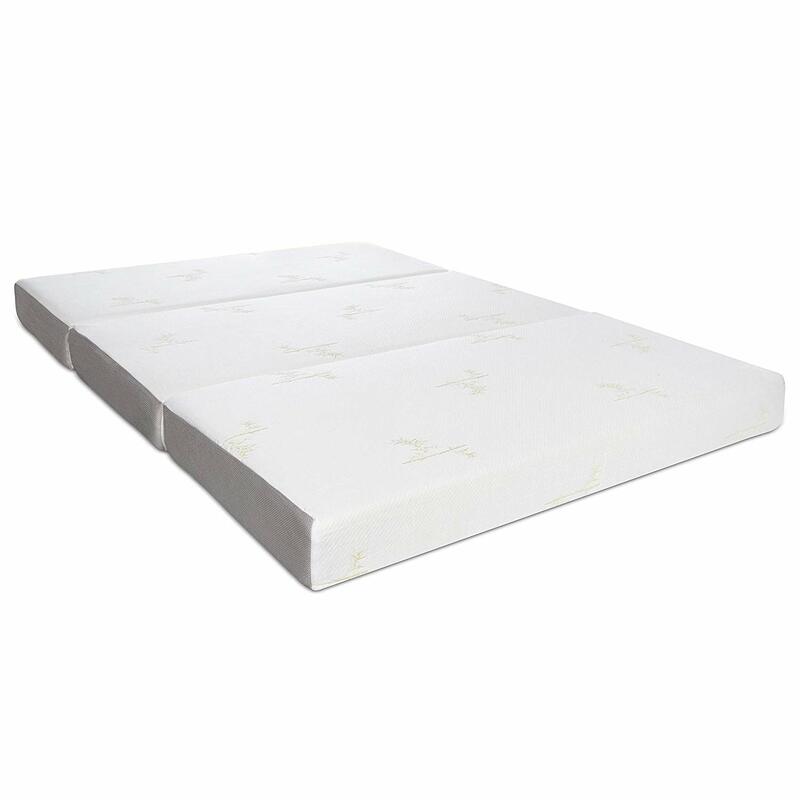 It offers impressive comfort and support for sleepers who need memory foam. The best part is the ease of set-up and portability for travelers, campers and RV owners and several other handy uses. It’s a 6-inches tri-fold bed with 1.5-inches durable and comfortable layer of memory foam and a 4.5-inches layer base foam that provide resolute support to the top-layer for a restful sleep all night long. Removable cover is made from jacquard bamboo with an anti-slip base for easy washing. This mattress is a 6-inches thick medium feel that offers incredible support for the average and heavy sleepers. The Milliard tri-fold mattress is free of CFC’s, PBE flame retardants, ozone depleters or contains any metals including mercury, lead, or heavy metals. It does not have prohibited phthalates or formaldehyde. As a result, the mattress offers maximum comfort and support because it provides a cool sleep surface throughout the night. As with maintenance, the milliard mattress allow for rotation twice yearly, and it is easy to wash and excellently avoid heat and liquid spills. The back and belly sleepers who want the ideal bed with support for their sleep style will find this mattress among the top best to provide the sleep comfort they need. It is a 10-inch medium-firm mattress made from the best memory foam grade for refreshing sleep. The materials are latex hybrid with four layers sporting gel-infused memory foam and latex to offer excellent levels of support, boy contouring and amazing body response without sinking. This hybrid mattress is more refreshing than most of the other beds out there; wonder why? The reason is merely that latex doesn’t retain temperature. Another reality about this mattress is that it doesn’t transfer motion because of its 7-inch pocket steel coils. Are you looking for a mattress that is both beautiful and high-quality? This hybrid mattress is your best shot. It is made in a beautiful way that it can fit and add beauty into any room, be it a master bedroom or even your guest room. Guess what! This mattress comes with a 10-year warranty, so if you have any complains or problems with the bed, you can get it changed without any hassle. If you are looking for an infusion of beauty and quality in a mattress, the Zinus Spring Mattress is your best shot. This mattress comes in grey and silver colors to add beauty to your interior and catch your attention, of course. It also comes with a rope décor which surrounds the edges of the upper and lower bases, isn’t that cool? But that’s not all; it gets impressive. With the buttoned design present on the mattress surface, you get comfort and non-slip experience throughout the night. The mattress comes with a 7.5-inch base layer which is made up of over 10% individually enveloped coiled. With this in place, you won’t feel it if your partner changes position in the night as it helps eliminates motion transfers on the bed. Apart from removing motion transfer, the 7.5-inch base layer contributes to extra softness, extra firm support and compact design on the mattress. This mattress also comes with a 1.5 inch soft, comfort, and a top layer which is complemented by a 1-inch foam support layer which makes the bed more soft and fluffy. With this layer, you can be assured of quality rest every night. It also features evenly distributed foam in all part of the mattress to prevent the mattress from sinking. So you can sleep on any side of the bed without discomfort. Now to the most critical part, the Zinus spring mattress was made from the iCoil Pocketed Springs technology. The independent coils help to eliminate motion transfers, poor alignment, and sunk foams, so you can be sure you are receiving the highest quality for as long as possible. 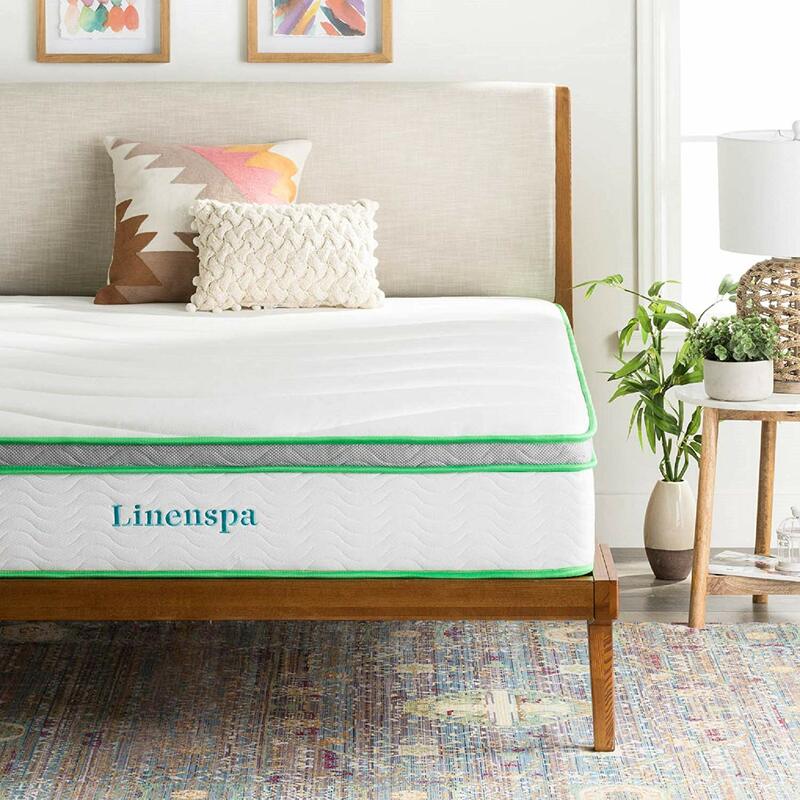 It also has the CertiPUR-US certification that confirms the competence and durability of the mattress while assuring you and your family of comfort, durability, and safety. Zinus is not a baby rand, it is a renowned brand, and it has satisfied customers’ needs for years. The Zinus Spring mattress is one of its masterpieces. The mattress was designed as a solution for people who don’t have good night rest, to make sure that everyone gets to enjoy good rest whenever they want to. 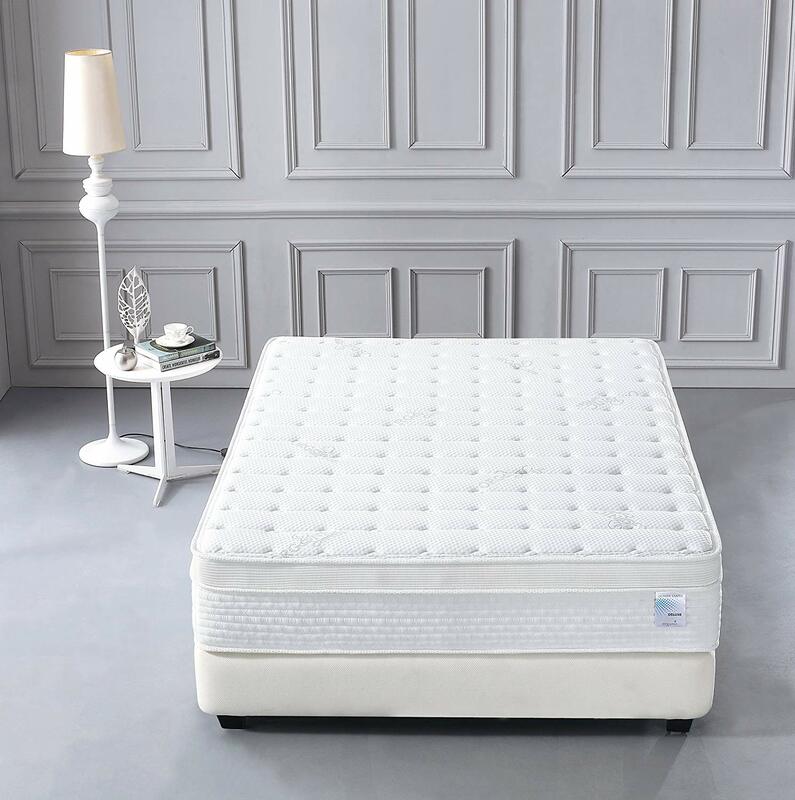 Apart from the fact that this mattress offers a sleep solution for people who have difficulties in sleeping, it also comes with the best quality materials you will ever find in the market, and it also delivers quality performance compared to other mattresses you’ll find in the market. When it comes to buying a mattress, it is not about the company but the quality. The truth is small companies make great things too, so you should try and focus more on the quality of the mattress than the brand. 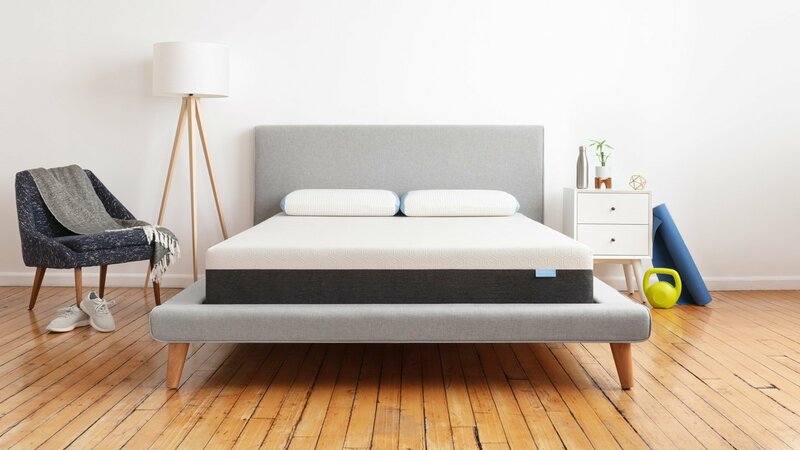 This pocket spring mattress is produced by a small company called Smith & Oliver. 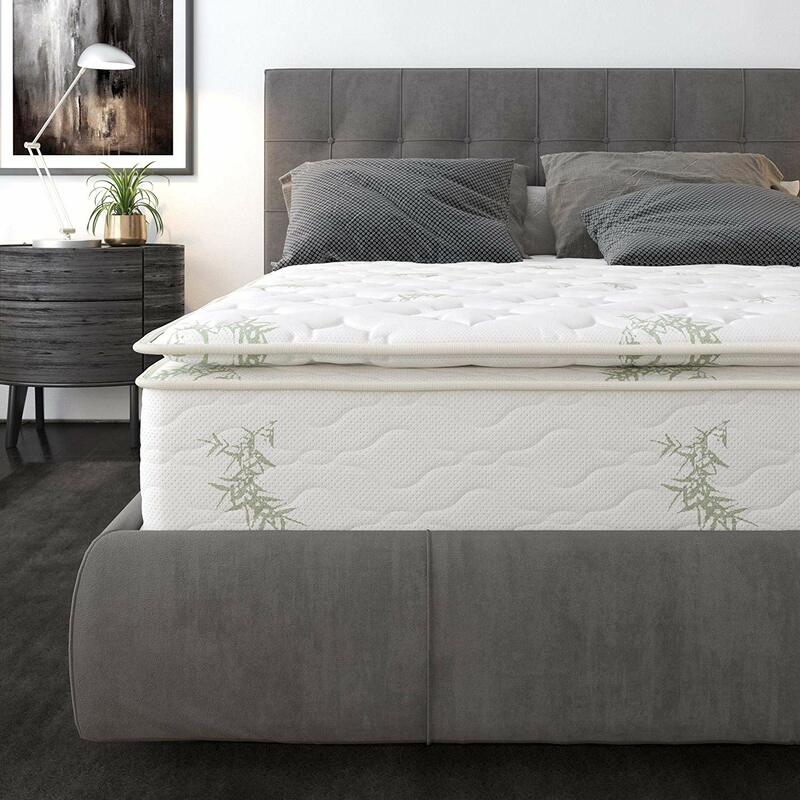 Although you might have heard about them, but it doesn’t mean that they don’t have quality mattresses, in fact, this mattress is one of the quality mattresses you will find in the market. It is made with, a totally, natural organic cover. Its memory foam has amazing temperature regulating features, and it is well ventilated, so you will stay cool while sleeping on this mattress. But that’s not all, this memory foam is one of the high rated non-toxic foams, and it is a green foam certified brand; small but mighty brand. This mattress comes in various sizes, so you can choose whichever you like. There are the twin size, queen size, full size, and the California king sizes. Although the variety in sizes is excellent, it comes with its own limitation. So what’s the limitation? When it comes to this mattress, the 12-inch option is the only available thickness, nothing more, nothing less. The bed comes with a euro pillow top for extra plushness. However, the number one downside of this mattress is that it doesn’t have any warranty. If you the type of person that loves quality without caring about the price, you sure will like this. The Spring Dreams mattress manufactured by DreamFoam uses the best mattresses technology in the world. 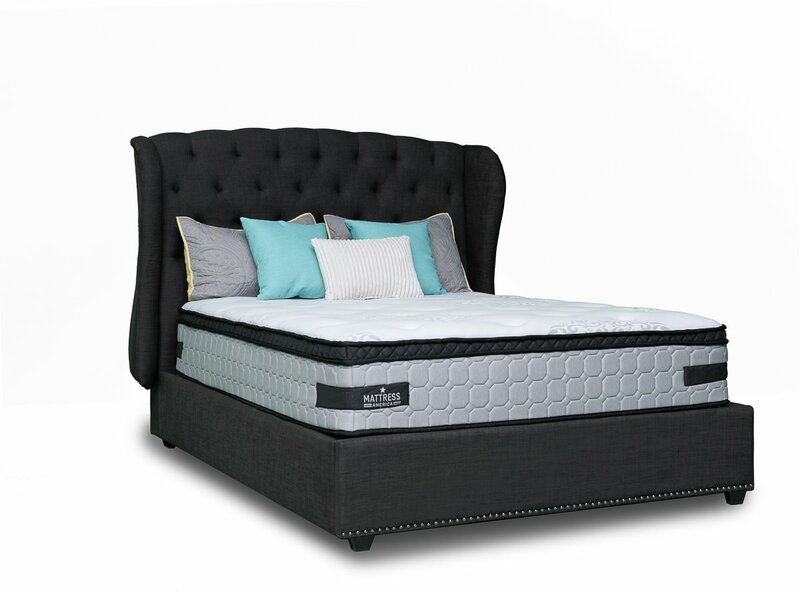 Here is where it gets exciting; the mattress features six 15-gauge individually packed Samson-turn coils that are quilted with fiber and memory foam on each side; this improves its durability and comfort, it also gives you the option to turn the bedsides. The zenith of the mattress is covered with a layer of memory foam, which reduces the texture of the coils, resulting in a more comfy surface for the sleeper. Inside the mattress are coils, in separate units that do not only isolate motion transfer but also aid in the reduction of pressure points. Another fabulous thing about this bed is that the manufacturer is in the USA so that you can be assured of not only quality and comfort but also affordability and durability. The DreamFoam bedding company plays the administrative role of overseeing every single activity that goes into the production processes. Energex is an advanced viscoelastic foam and a very great alternative to traditional memory. It takes all the benefits of viscoelastic foam without having to wait a few days before it inflates. Now imagine a mattress made from Energex? Okay so there is a foam made from Energex, it is called the Arctic Dreams memory foam mattress. So if you are looking for an alternative to the traditional mattress, an Energex based mattress is what you need. 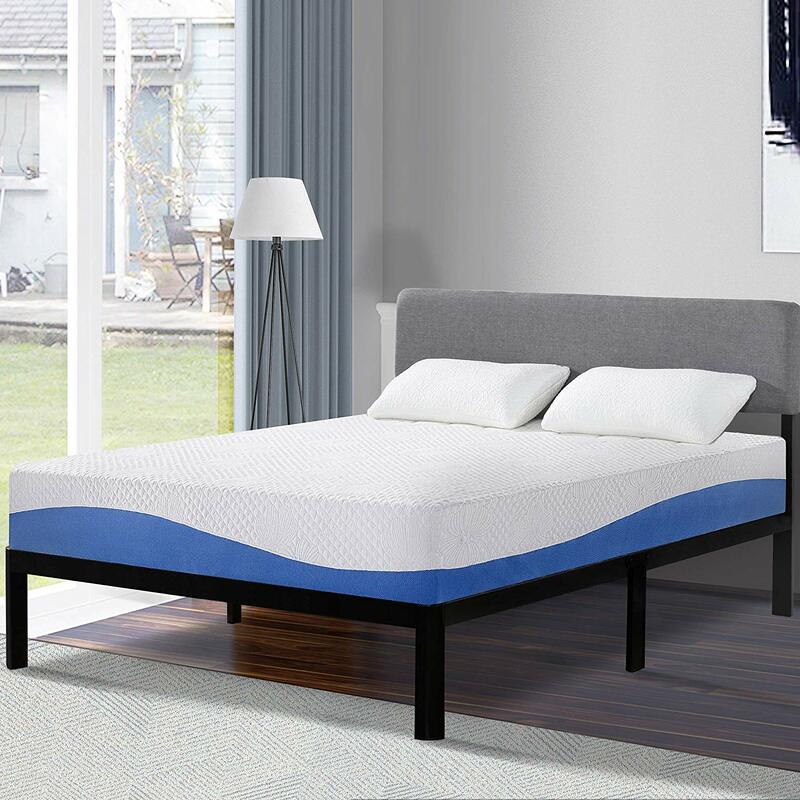 Not only does it fill the gap between latex and viscoelastic foam, but it is also breathable, refreshing and has a responsive polymer structure is better than latex and innerspring mattress. So let's talk about the Arctic Dream Mattress. This bed sports 3-inches of Energex gel foam which is on top of 6 and ¼ inches of convoluted high-dense polyurethane foam which are all covered with a ¾ inch of a supersoft layer. All these layers create an infusion of comfort, density, and support. 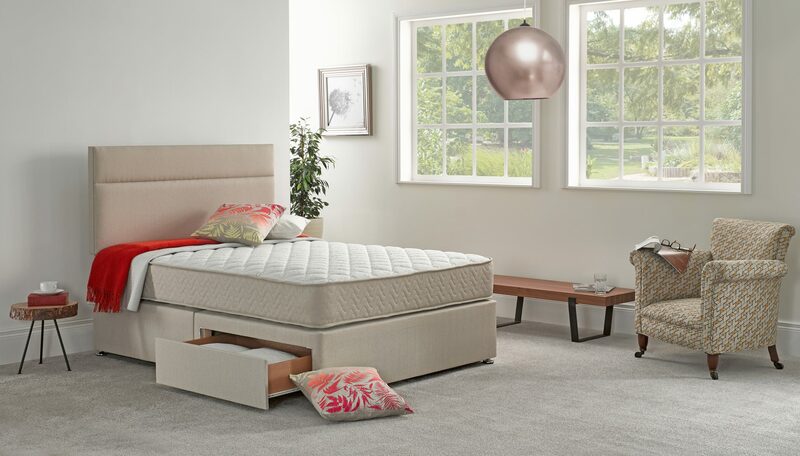 To satisfy the universal desires of clients and provide optimum comfort, Modway has produced the Aveline Gel Memory Foam, which combines superiority with versatility, as it is ideal for all sleepers. Additionally, it is available in various sizes, ranging from the king and queen sizes to full and twin sizes. The Aveline Gel Memory Foam is 8 inches and is filled with open cell memory foam that creates support for your child by letting your child’s body sink in even if he/she has different sleeping habits such as turning to different directions and sleeping on body parts. There is a thick sheet of gel-infused foam on top of the memory foam. This thick gel infused foam enhance body-weight support, regulates heat, and helps in maintaining body temperature by absorbing the sweat and heat around your child’s body which in turn gives your child comfort even in the cold and hot weather. Apart from the comfort this mattress gives, it also helps in reducing the chances of creating or worsening allergic reactions because it is made with low volatile organic compounds which are almost harmless. A lot of people want proof before buying anything. So if you want proof, here is it is. 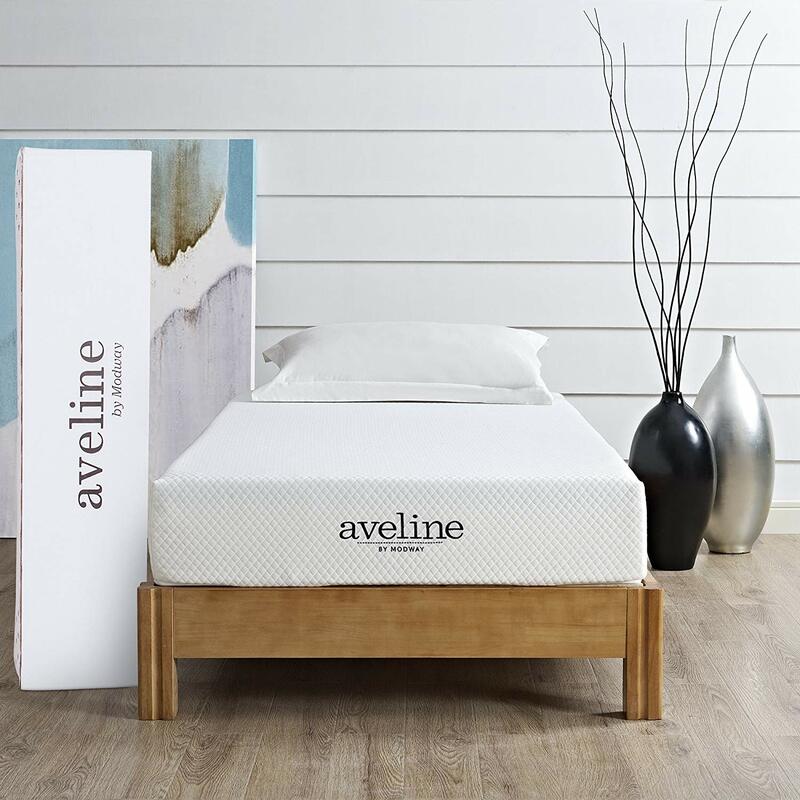 Aveline mattresses have been able to make over thousands of great reviews and a 4.5-star rating, which is enough proof for you to see that Aveline mattresses are worth the buy. If you always put comfort first before any other thing, the Olee Sleep 10-inch Gel Infused Layer Top Memory Foam Mattress is your best shot. Although this bed is not thick compared to most mattresses since it is 10-inches in thickness; it is dense enough to offer sleepers extreme comfort and support. But above all the benefits, it is quite affordable and readily available. With its 10-inch depth, it provides the sleeper with adequate support. Nonetheless, it is recently available in the queen size, but other sizes may be made available for you if you get through the customer support team of the brand. The quilted layer on top of it provides maximum pressure relief and support to align the spine of the sleeper. By so doing, it poses as a very comfy and excellent bed for all sleep patterns. It comes with cool features, such as the 1-inch 8 ILD soft memory foam and 1-inch I Gel for regulation of body heat. The 1-inch 24 ILD HD foam inside the mattress increases its durability and retain its shape throughout its years of use. It is also relatively affordable considering how comfortable and breathable it is. As it does not only retain its shape through the years of use but also very comfortable, it is said to be one of the best mattresses. Additionally, it comes with a guarantee of 10 years. The experience gathered over the years has allowed mattress America to understand what their clients need. As the company has adopted the use of highly demanded featured in their mattresses, they have been able to correctly design the Frost Pillow Top Mattress and improve its popularity amongst the consumers. The foam materials, which measure 13” in length and 3” in depth, are extremely comfy. They are positioned on a pocket coil core, which is 10” high. 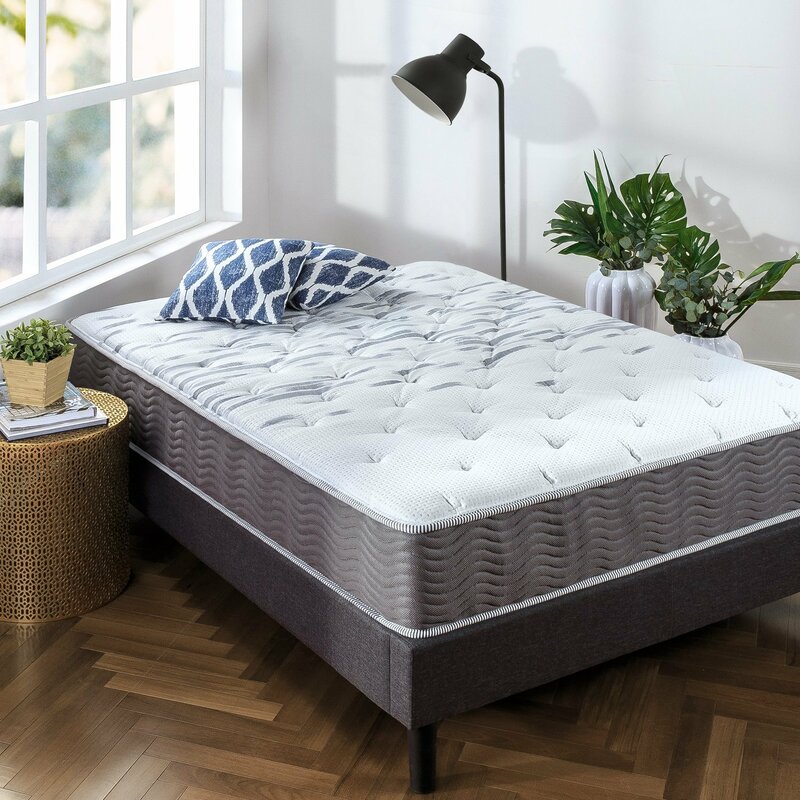 In the foam layer, there is a gel-infused memory foam that has a plush texture while the innerspring layer provides basically, all the support and weight distribution required of the mattress. Incredibly, it has a warranty of 25 years. Therefore, it will be able to last for a very long time without losing its superiority, function, and durability. Another unique feature is the individually-wrapped coil structure that ensures texture distribution and support. This feature also plays a significant role in motion isolation and supporting the spine and neck to reduce pain and increase the quality of sleep. However, this feature might not be great for side sleepers because the hard surface doesn’t really curve perfectly around the body. Another good thing about this mattress is that you don’t have to air it before you use it because of its odorless nature. However, it might take two weeks for it to expand to its standard size. This mattress has satisfied CertiPUR-US certification, so you can be sure that it is free of any toxic substances and is eco-friendly. Everyone loves the comfort that is why everyone loves to sleep on a Pillowtop mattress. Not only does pillow top mattresses offer support, but they are also great a relieving pressure and ensuring a great sleep. This product is one of the best beds in the market today. It comes with 3 inches of luxury memory foam, and that guarantees that you will have a sound sleep. Luxury Bamboo Cover. Bamboo mattresses should be called the comfort maker because sleeping on a bamboo mattress is equivalent to sleeping on comfort itself. If you are someone like me that hate sleeping when everywhere is all sunny and hot, the Signature Sleep is all you need. When everywhere is all hot and sunny, the Signature Sleep keeps you fresh. And you what, it also keeps you warm when everywhere is cold and freezing, so it only gets better. 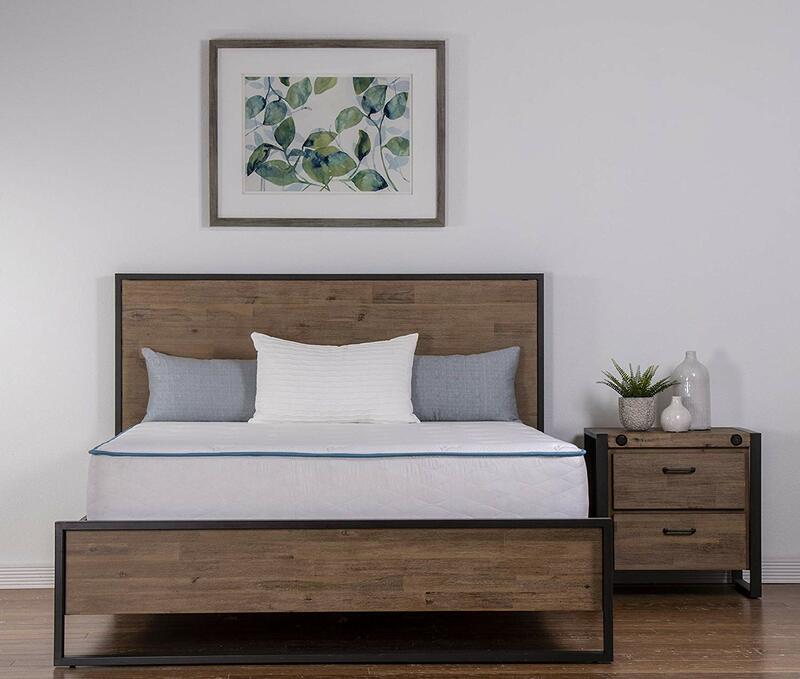 Signature sleep uses hypoallergenic bamboo ticking as its cover, so you don’t have to worry about allergies. Protective Support. 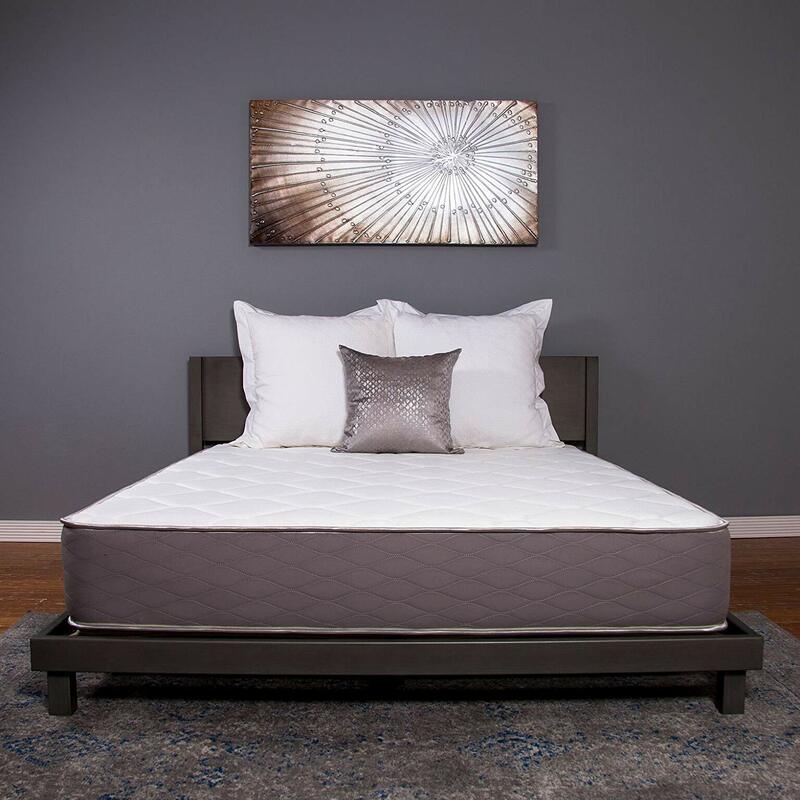 Signature Sleep mattress was made from single packaged coils, so you don’t have to worry about that mushy feeling you get when you sleep on spring bed. The single wrapped coils are strong enough to eliminate any trace of motion transfer. So if you notice that you turn a lot while sleeping and you don’t want to affect your partner, this is the mattress for you. Satisfies the Standards of CertPUR-US. It’s a bamboo mattress; it is a natural mattress. Since Signature Sleep is also a Bamboo Cover Memory Foam Mattress, then it is natural too. 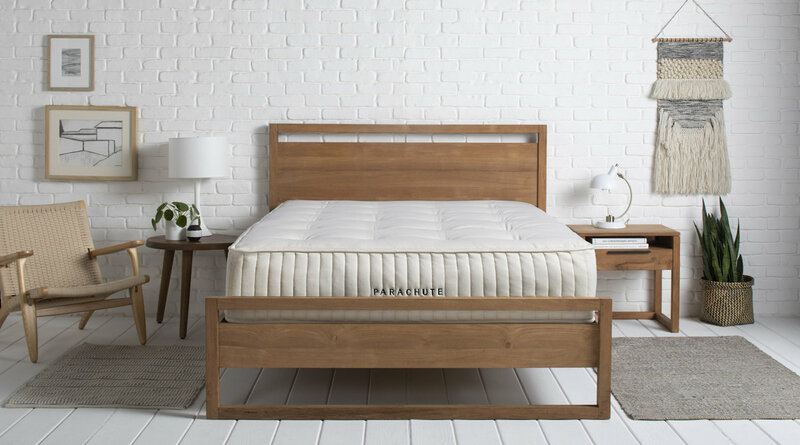 You know the amazing thing about this mattress is that the extraction of the bamboo fabric is done mechanically, no toxic metals, flame retardants, or ozone depleters are added. Different sizes for different persons. I wouldn’t call it a special mattress if there is no variety of options to choose from. But I can boldly call the Signature Sleep - unique bed because they are varieties of sizes to choose from. You can either accept the Queen Size mattress or the King size mattress. If you don’t like either of them, you can go for the full bed mattress, whatever you want. So you can select different mattresses for different rooms, depending on your taste. The good thing about this mattress is that the quality of the beds is the same irrespective of the size. Fast configuration process. This mattress comes in a box, so you have to roll it out and wait for it to spread out (seems stressful right?) but it is still has a faster configuration process than other beds in the market. It's too soft for those who stomach and back sleepers. This mattress is quite a little too soft. Therefore soft sleepers like me will enjoy it so much. But for the back or stomach a sleeper, this bed isn’t recommended for you as it is not adequately firm to support them. It requires two days to take its full dimension. If you think this mattress will fully inflate when you get it out of the box, you might be a little disappointed because it takes two days to increase and gradually reach its standard size. So you got tired of your old mattress, and you want a new one, or maybe you want a bigger bed, or perhaps you are moving to a new apartment, and you want a new mattress. Whichever is the case, we are here to help you select the right bed, so you don’t make any mistake. Knowing that about one-third of your day is for sleeping, it means your bed is a critical item to choose with care. That is why we recommend taking the time to get the right mattress. Although, many of us hardly know that a bed is essential in our daily life, yet it is! In the next discussions, I will teach you how to select the correct mattress. But before we start let me wrap up all about memory foam mattresses today by giving you the health benefits of memory foam mattresses. However, if you want a recommendation, check out some of our top picks above. It helps support your back and gives proper spine alignment. Memory foam mattresses conform to your body’s curves and help spread your body weight evenly. Apart from spreading your body weight and adapting to your body curves, it also helps your spine stay in a neutral position by supporting your lower back. It doesn’t transfer motion. If you are looking for a mattress that doesn’t transfer motion, you should get a Memory foam mattresses as it helps in taking in all the movements and isolating it. Dust mites. Dust mites are everywhere, even in our bedroom, and they can cause allergies. But I have good news for you; these mites can be prevented if you use memory foam. Memory foam beds have denser structures to prevent dust mites from coming in. They are very affordable. Memory foam is everywhere in the market. Different brands are coming up with their own products, so the price is very competitive. Although most people think memory foam mattresses are very expensive, on the contrary, they are not as expensive as we think they are. Pressure point relief. Memory foam mattress conforms to your body’s curves and doesn’t push back. Unlike traditional coil mattresses, It doesn’t add any pressure on your body, and it eliminates pressure sores. Like I said earlier, we spend 1/3rd of our day sleeping, so it is imperative to get a comfortable and relaxing bed. Although shopping for perfect memory foam might not be too expensive and taxing, but it always pays to know the things you need to consider before you buy them. Thickness. You need to put into consideration how thick you want your bed to be. Memory foam mattress ranges from 6 inches to 14 inches thick. Sleeping position. Before buying a mattress, you have to consider your sleeping position. If you sleep on your backs, we recommend going for a medium firm mattress; a soft or too firm mattress might affect your spinal cord. If you sleep with your side, we advise going for a softer mattress as you will need extra support for the pressure points of your shoulder and hips. If you sleep on your stomach, it is best to go for a firm mattress to prevent pressure on your lumbar or thoracic spine. We also recommend memory gel foam and latex memory foam mattresses for you. Price. When memory foam mattresses made their first appearances in the market, they were costly because of the benefits they bring to sleepers. But now they have become a lot cheaper and affordable. So before you buy a mattress consider your budget. Always buy a bed that fits into your budget. Temperature. Another thing you should think of heat retention when searching for a mattress. Most good mattresses can make you feel cool even in hot temperature while making you feel warm in cold temperature. Motion and separation. If you share your bed with your partner, you want to make sure that you get a mattress that doesn’t transfer motion and isolates it. You don’t want to disturb you or your partner’s sleep because one of you tosses and turns as you sleep. So make sure you get a mattress that isolates motion transfer. Edge support. You want to make sure that there is strong edge support of your mattress especially when you sleep near the edge of your bed. Most innerspring mattresses use the advanced foam encasement around the corner, but some of the cheap traditional mattresses use a steel rod on the side. When it comes to edge support, foam encasement is better. Memory foam mattresses don’t have separate edge support because of the nature of the foam which is designed to take the shape of your body. One of the essential things you should consider when selecting a mattress is the comfort. If a bed is too firm, it may cause pain and discomfort; it can cause pressure to your body. When this happens, it will cut off circulation, pinches nerves and cause you to change position often. If when sleeping in a mattress, you are frequently changing positions, then your sleep is fragmented, and you won’t get into the deeper stages of sleep, which means you will wake up tired even if you thought you had 8 hours of sleep. If you can lie in one position without moving around for a few minutes, then you have a good mattress. You may have noticed I didn’t mention any details about the construction of the mattresses. I didn’t say much about coils, foams, etc. although this might be the least important part of the guide (no one cares about the type of mattresses), but it is still good to know. Innerspring. The innerspring mattresses are traditional mattress with springs or coils which are tied together or individually wrapped. Specialty foam. Specialty foam as the name implies can be made of different types of foams. Examples of specialty foams are the memory and latex foam. Hybrid. The hybrid type of mattresses is for people who are interested in getting both foam and innerspring in one bed. Hybrid mattresses have features similar to that of a specialty foam mattress but on innerspring support. Apart from these three major types of mattresses, there are still other types of mattresses. There are the air mattresses, which use air chambers instead of a coil for support, and there are some waterbeds that use water as support. The largest air mattress manufacturer in the market is Select Comfort with their Sleep Number bed. There are several small waterbed manufacturers as well in the market. Innerspring mattresses are now a thing of the past. The reigning beds are the foam mattresses. The foam mattresses have been able to attract more and more customers compared to the innerspring mattresses. There are two types of specialty foam, and a foam bed will usually have at least one of them, if not the two of them. There are latex and memory foam. Memory foam is the most popular type of mattress. Memory foam is the best pressure relieving material that is used in beds today. Although it takes time to inflate and return to its normal position. Most times, manufacturers mix Memory foam with a type of gel to add support and help keep a more neutral surface temperature. Another type of specialty foam is Latex foam. The latex foam is more supportive and durable than the memory foam. Unlike the memory foam, It responds quickly, and it naturally keeps a neutral temperature without gel. But it doesn’t relieve pressure, and it is not as good in separating motion as the memory foam. However, when buying a specialty foam, make sure you are careful of the ones made from China. These beds are of lower quality, and won’t hold up as long as America or Europe manufactured mattresses. Although they might seem cheaper, in reality, they are more expensive because, after six months, it will lose both its support and comfort. So it is not worth the buy. The innerspring mattress is a favorite type of bed. You must have seen lots and lots of innerspring mattresses. They have metal coils with fibers and foams on the top. Lower priced mattresses use the older style coil in which they are all tied together and not individually wrapped. The hourglass-shaped coils are called “Bonnel” coils. These are cheaper than the individually wrapped coil, but they transfer more motion and don’t contour as well as the individually wrapped-coil. If you are looking for a high-quality innerspring mattress, buy ones with individually wrapped coils. This type of coils allows the mattress to contour your body from the coil level which will give better support and cause less pressure. Also, wrapped coils are better at separating motions on the bed. But, they are usually expensive. The foams above the coils don't have definite densities depending on what you want. You can get a mattress with softer foam on the top or firmer foams on the top. However, when buying a mattress, don’t pay too much attention to the title of the bed. One company’s “luxury firm” might be similar to another company’s “cushion firm” or even a “plush.” Just pay more attention to each mattress and check for comfort and support. A mattress is expensive; there is no doubt about that. But you should always find a way of cutting your expenses right? That is why you should buy the right one at the right time, so you don’t break the bank. The best time to get a mattress is around holiday time. There is always a good possibility that you’ll find an extra discount because of the holidays. However, this doesn’t mean that you wouldn’t get to buy cheaper mattresses on a typical day; it’s just a tip on the best time to get a reasonable quality mattress. P.S. Sales usually start early in the week or before the actual event. So if you are worried about a particular product going out of stock, you can buy days before the holiday; it is always cheaper. It is crucial to clean your bed, to help your sleep become more pleasant and productive. It is also essential for good health. Strip the bed of all sheets and toss the bedsheets in the washing machine. You can easily remove tough stains with good laundry detergent and the hottest water setting in the washer. After that, it is time to vacuum the entire mattress surface (you can use improved Dyson V6 cleaner to exact the process). If there is any odor, you can remove it by using baking soda over the entire surface. It is important always to use a mattress cover as it serves as an extra layer of protection to prevent fleas, microbes, mites, etc. from feasting on your bed.